Scott Labs is known for our laboratory solutions, and our laboratory countertops hold true to our high standards. Made from durable and high quality materials, our countertops will withhold the most rigorous of uses. We use a mixture of composite materials, stainless steel, and even sterile materials to provide your laboratory with beautifully functional countertops. We offer built in fixtures for plumbing such as sinks and hot and cold water taps. We can also provide built in gas fixtures and fume hoods for chemical and science laboratory countertops. We also design and develop for adaptable systems, which allow for modular lab countertops and layouts. Our laboratory countertops are built to order. This guarantees a perfect fit for your laboratory’s space, making sure to utilize every available inch for maximum functionality. Contact us today to see how Scott Laboratory Solutions can help with your lab countertops. 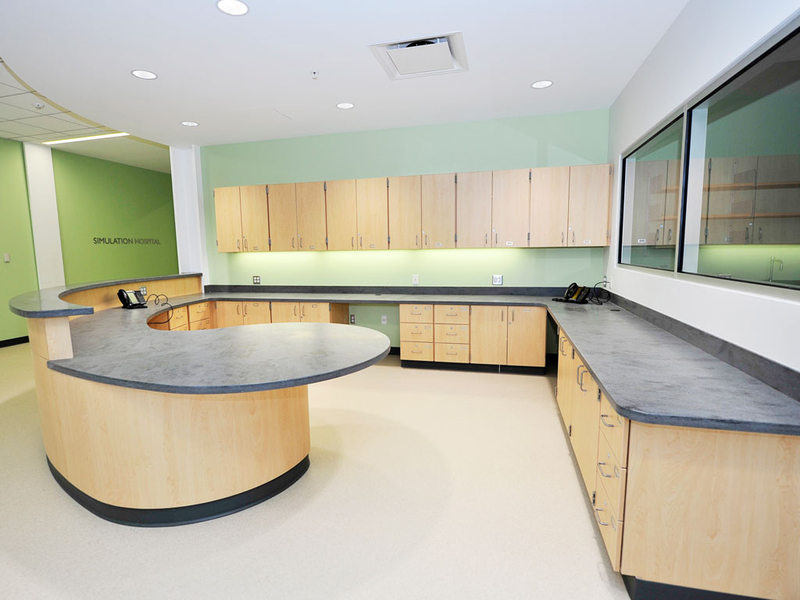 Our laboratory countertops are built to last, and each installation is handled by certified contractors. With our adaptable laboratory systems, our customers can choose whether to have suspended cabinets under their countertops, or even mobile cabinetry, allowing for an optimal laboratory setup.